Marv Shepherd earned his B.S. in biology (1969) from Michigan Technological University, a B.S. in pharmacy from Ferris State University (1975), M.S. from the University of Rhode Island (1978) and Ph.D. from Purdue University (1980). In 1969, he received his commission in the U.S. Army and served with the 10th Special Forces Group (Green Berets). He is currently the President of the Partnership for Safe Medicines and organization dedicated to combating counterfeit pharmaceuticals. He is noted scholar on drug importation, drug counterfeiting and prescription drug diversion. He has testified before U.S. Congress on drug importation, prescription drug diversion and counterfeit drugs. 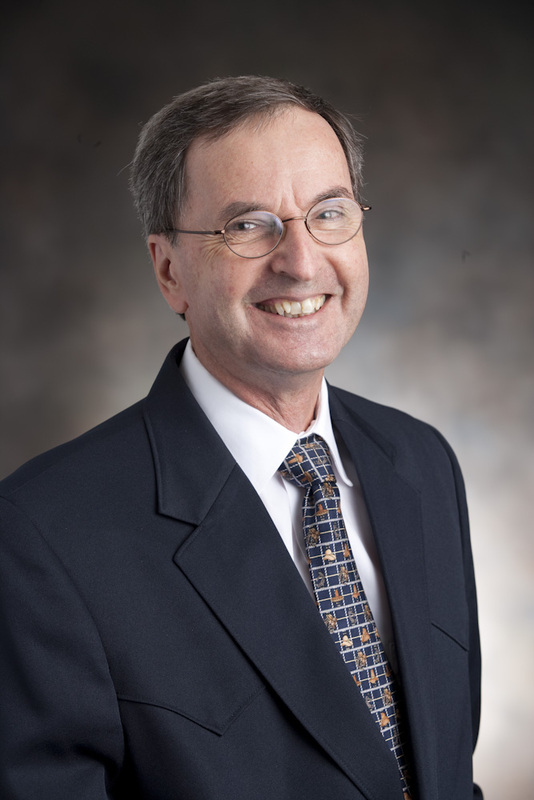 He has an active research program with over 100 publications, six book chapters on a variety of pharmaceutical areas including generic drug use, drug pricing, drug advertising, pharmacoeconomics, pharmaceutical marketing and the impact of Medicare Part D on community pharmacies. Pharmacy services, pharmaceutical marketing, importation of pharmaceuticals, prescription drug diversion, counterfeit medications, managed care pharmacy and pharmacoeconomics. 1. Ciullo, J. and Shepherd, M.D., "Drug Discard Patterns in Long-Term Care Facilities," Journal American Pharmaceutical Association, Vol. 17, No. 12, (Dec. 1977). 2. Campbell, N.A. and Shepherd, M.D., "Pharmacy Practice Definitions and Their Legal Implications," American Journal of Pharmacy, Vol. 140, No. 6, (Nov.-Dec. 1978), pp. 177-184. 3. Shepherd, M..D., "Comparison of Medicaid Drug Discards with Private Pay Drug Discards in Long-Term Care Facilities," Contemporary Pharmacy Practice, Vol. 2, No. 1, (Winter Edition 1979). 4. Curtiss, F.R. and Shepherd, M.D., "Career Choices of New England Pharmacy Students," American Journal of Pharmaceutical Education, Vol. 44, No. 1, (Feb. 1980), pp. 71-74. 5. Shepherd, M.D. and Kirk, K.W., "Stereotyping Women as Managers in Pharmacy," Pharmacy Management, 152, 250-254 (1980). 6. Shepherd, M.D. and Kirk, K.W., "A 1980's Look at Women in Pharmacy," American Pharmacy, NS21, 53-56 (1981). 7. Shepherd, M..D., "Women in Pharmacy: Some Thoughts and Findings," Georgia Pharmacist Quarterly, 58, 5 (1981). 8. Shepherd, M.D. and Kirk, K.W. "Analysis of Who Holds Pharmacy's Managerial Positions," American Journal of Hospital Pharmacy, Vol. 38 (Oct. 1981), pp. 1963-1966. 9. Shepherd, M.D., Wiederholt, J.B. and Jowdy, A.W., "An Examination of Continuing Education Needs of Georgia Pharmacists," Georgia Pharmaceutical Journal, Vol. 4, No. 1 (Nov. 1981), pp. 19-23. 10. Shepherd, M.D. and Glass, S., "1981 Pharmacist Economic Survey," Georgia Pharmacist Quarterly, 58, 5 (1981). 11. Shepherd, M.D. and Kirk, K.W., "Analysis of Pharmacy Practice Patterns of Men and Women Pharmacy School Graduates," Contemporary Pharmacy Practice, Vol. 5, No. 3 (Summer 1982), pp. 189-197. 12. Shepherd, M..D., Kirk, K.W. and Stahl, S.M., "An Examination into the Employment, Opinions and Pharmacy Employment Plans of Non-practicing Pharmacy School Graduates," American Journal of Pharmaceutical Education, Vol. 46, No. 3 (Fall 1982), pp. 218-223. 13. Shepherd, M.D. and Pink, L.A., "Qualifications Required in Advertisements for Hospital Pharmacy Management Positions," American Journal of Hospital Pharmacy, Vol. 39, (Nov. 1982), pp. 1940-1943. 14. Shepherd, M.D., "Women in Pharmacy, It's Up to You," The Bond, Kappa Epsilon Publication, (Fall-Winter 1982), pp. 10-11. 15. Kirk, K.W. and Shepherd, M.D., "Women in Pharmacy--Where Are We Now?" American Pharmacy, NS21, 19-21 (1983). 16. Shepherd, M.D. and Erwin, G., "An Examination of Students' Attitudes toward the Elderly," American Journal of Pharmaceutical Education, Vol. 47, No. 1, (Spring 1983), pp. 35-38. 17. Shepherd, M.D. and Jowdy, A.W., "Developing the Strengths of Employees and Delegating Your Ways to a More Effective Organization," Apothecary, Vol. 95, No. 1, (Sept-Oct. 1983), pp. 14-18. 18. Shepherd, M.D. Henderson, M.L. and Ohvall, R.A., "Career Aspirations of Graduate and Pharm. D. Students as Factors Affecting the Supply of Pharmacy Faculty - A National Study," American Journal of Pharmaceutical Education, Vol. 47, No. 3, (Fall 1983), pp. 211-215. 19. Williams, R.F., Shepherd, M.D. and Jowdy, A.W., "Analysis of a Computer Assisted Call-in Prescription Refill Service for a Military Outpatient Hospital Pharmacy," American Journal of Hospital Pharmacy, Vol. 40, No. 11, (Nov. 1983) pp. 1954-1956. 20. Kirk, K.W. and Shepherd, M.D., "Women Pharmacists," Discovery, Vol. 8, No. 1, (autumn, 1983) pp. 19-22. 21. Shepherd, M..D., "Some Thoughts on Direct-to-the-Consumer Prescription Drug Advertising and the Elderly," Gerontology Newsletter, University of Texas, Vol. 8, No. 2, (November 1983) pp. 1-4. 22. Shepherd, M.D., Henderson, M.L. and Ohvall, R.A., "An Analysis of Pharmacy Graduate and Post-baccalaureate Pharm. D. Student Undergraduate Grade Point Averages," American Journal of Pharmaceutical Education, Vol. 48, No. 1 (Spring 1984). 23. Henderson, M.L., Shepherd, M.D. and Ohvall, R.A., "Foreign Pharmacy Graduate and Post-baccalaureate Doctor of Pharmacy Students Within the United States Colleges of Pharmacy," American Journal of Pharmaceutical Education, Vol. 48, No. 2 (Summer 1984). 24. Shepherd, M.D. and Bouchard, J. M., "Pharmacist Financial Compensation from 1979 to 1982," American Journal of Hospital Pharmacy, Vol. 41, (November 1984) pp. 2390-2392. 25. Shepherd, M.D., "Where Would I Like Pharmacy Administration to be in the 21st Century?" American Journal of Pharmaceutical Education, Vol. 48, No. 4, pp. 388-390.